Develops annual budget for presentation to the Board at mid-year meeting and maintains a long-term financial plan. Plans and presents educational programs and at the annual meeting in December. Also, oversees annual luncheon. 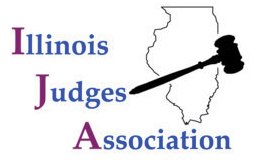 Publishes The Gavel, the official publication of the Illinois Judges Association. Monitors actions and proposed actions of the legislative and executive branches on matters of import to the judiciary. Facilitates getting judges into schools to present 7 Reasons to Leave the Party, our award-winning program on drug and alcohol prevention; Courtroom in the Classroom, a civics presentation on the judicial process; Page It Forward, which encourages reading; and Worries of the World Wide Web, that explores the serious dangers of the Internet, social media, apps and cellphones. 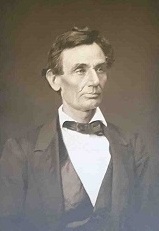 Monitors judicial election and retention and investigates and addresses, within ethical limitations, problems. Sponsors and encourage reading, writing and sharing of literature helpful to our role as judges, including curriculum for judicial education programs, formation of writing groups for IJA members, and publication of the creative writing of members. Monitors and arranges responses to unjust public criticism of the judiciary. Monitors legislative, executive, and judicial branch action involving insurance, pensions, and the like. Analyzes physical and security make up of courthouses and assists members with on-line privacy and personal security. Monitors governmental actions, assists retirees with retirement benefits, and presents CLE seminars. Plans trips of interest to members, as well as identify member-benefit programs. Supports a Judge’s needs in the areas of physical, emotional, and psychological well being. Our Committee is premised on the idea that judges need to have healthy outlets to relieve the unique stresses they face everyday. The Committee endeavors to be a resource for services and activities designed to address the pressures judges face. To those ends the Committee will look to make available, among other things, access to fitness programs like Yoga, information on self help programs like LAP and team building experiences like entering a team in Race Judicata. If you would like to join a committee, please contact Kathy Hosty at [email protected] or 312/431-1283.